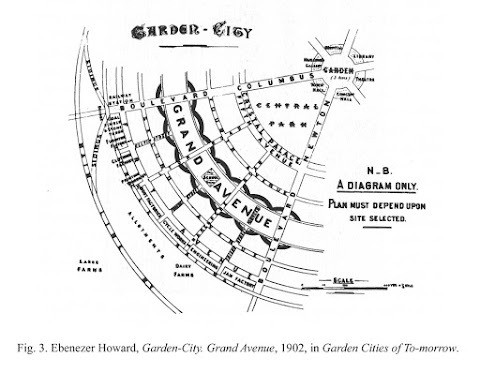 The sorting out of new cities into separate functions - industrial, commercial and residential was a natural reaction to the squalor of Victorian cities. The ideas of Ebenezer Howard and the notion of town-planning as a reform profession had a strong influence on Malaysian townscapes. 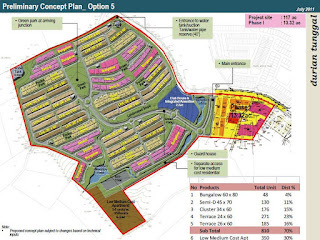 Today, the concept of zoning is entrenched in Malaysia’s laws on land and planning. 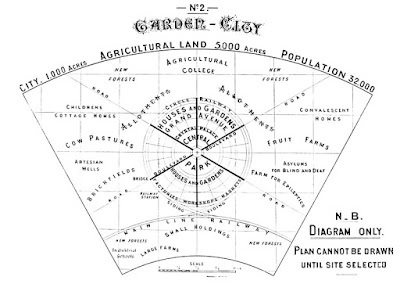 Land titles are largely categorized in accordance with their use – agriculture, commercial, industrial, institutional or residential; similarly, Local Plans that are prepared by local governments as a guide for future development, specifically divide land into different zones for various specified functions. So, the practice of segregating housing from commercial and industrial areas is an established practice in the preparation of development layout plans. But going further than this, it has also become common accepted practice that within the zone designated for residential use, neighbourhoods are designated by house - type and density. Higher density housing is placed in different neighbourhoods from medium density ones and from low density housing. This logic has taken on a life of its own – there is something in it that compels 40' X 80' double storey semi-detached houses to be separated from 20' X 60' terrace houses. 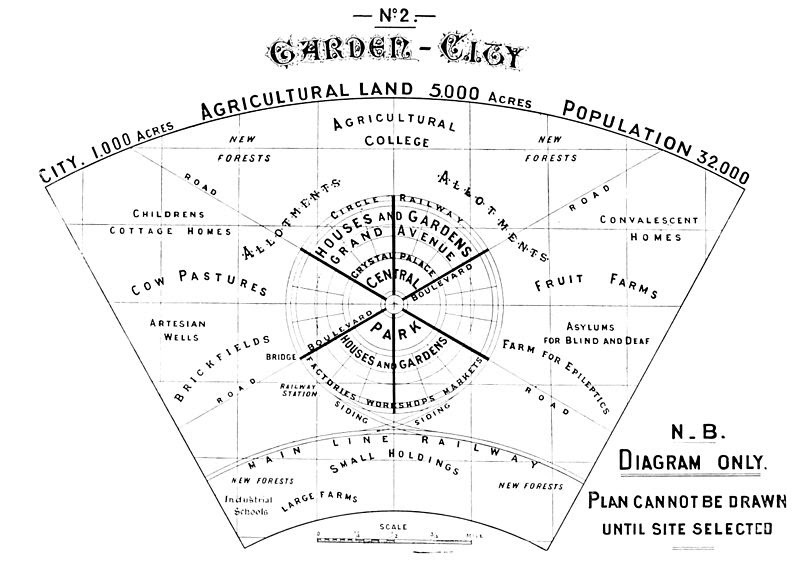 Planners seem oblivious to the social consequences of this practice – that it is in fact segregating society by wealth. After apportioning the land for the upper and middle classes, the worst bit of land left over would be given over to low-cost housing. Functional zoning has evolved into zoning by house types and density, and implicitly, by affordability and income. In this example, there are areas for bungalows, semi-detached houses, cluster and terrace houses, and low cost flats. It is perhaps a logical way of creating a new township, where various types of housing products catering to the range of pricing categories, are separated from each other. Here, bungalows are placed on top of the hill, on the most attractive piece of land; less expensive semi-detached houses are located on the slopes of the hill, just above the medium-cost cluster houses. At the foot of the hill are the terrace houses. Tucked away discreetly at the lowest least attractive corner of the land, on a marshy area are the low-cost flats. Great care has been taken to separate the more expensive houses from the cheaper ones: the most expensive houses are placed on high ground, overlooking the rest; the low-cost flats are placed on the lowest part of the site, opposite the sewerage treatment plant. The rest of the houses are placed in keeping with the same design principal – the more expensive houses are placed on higher ground. Of course, it is the rich that can afford the very expensive houses, those with medium income will buy the medium cost houses; only those with low income people will buy the low-cost house. Do people really prefer to live in homogenous neighbourhoods comprising the same type of houses, consisting of residents generally belonging to same income group? If so, should planners distribute homes corresponding to this preference? Whatever the answers, the fact is that to most developers and planners, this is just how it's done. Has zoning by income become an unspoken tenet of town-planning in Malaysia? The common practice is that development land for housing should be ordered per density of the house type, but implicit in such a practice is the notion that housing should be geographically ordered conforming to affordability and by income level. Maybe, this is how society sought to be ordered. Town-planners and developers might well argue that rich people don’t want to live too near to poor neighbours. It is not my intention here to challenge the practice of sub-zoning by house type on idealistic or ideological grounds: my point is a commercial one. I would like to argue though that this arrangement of housing products very often does not fit well with the pattern of consumer demand and with what is practical and cost effective to build, particularly in the small residential markets of second tier cities, small towns and outer suburbs. The layout plan for new townships are plans for the future – maybe looking 5, 10 or more decades into the future. As such they are developed in phases. It is difficult to build the whole of it in one construction phase, and it is not desirable to do so. The development content of a new township is almost always more than the current demand for housing. The developer will construct it by phases - each phase suitably sized to be easily built, and more importantly, to be easily sellable. One problem with the segregated-income layout is that it makes necessary the selling one type of house in one phase, followed by another type in the following phase, and so on. This is fine in a market where the number of units of any one type of house put up for sale is a small percentage of the total demand for that type of house. A developer selling 200 terrace houses in a suburb of Kuala Lumpur where 2000 similar houses got sold the previous year will not face a problem. However, trying to sell 200 of the same houses in a rural area where the demand is for about 50 houses a year is a different matter. At any one time, there would be a demand for a range of house-types. So, it makes sense that when a single phase of the development is launched, ideally the number and type of units for sale would match the expected demand. Below is how that demand can be profiled and a layout where the house-types are more desegregated. 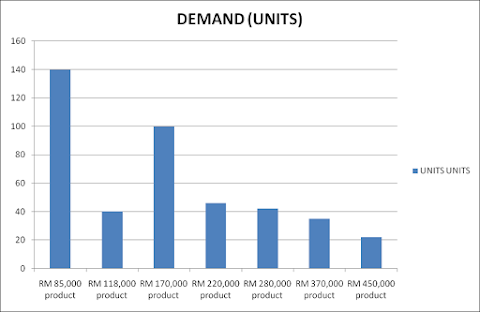 For a small town where the total demand in a year is 200 units, it is likelier that a phase where there is a desegregated mix of low-cost, low medium, medium and high-end houses will sell better than one where there are only 200 units of say medium cost houses. In the latter situation, people who want high-end houses or low-medium cost houses must be turned away with an invitation to “come back later” as a consolation. It is likely that these potential customers will go to another developer. In segregated layout situation, for the developer to be able to offer a wider range of options, she must build all around the site, including the infrastructure that must be extended to each section of houses. This option would mean more roads, drains, pipes and cables to be built to serve the house-types which are scattered all over, and would be an expensive and unwise choice to adopt.